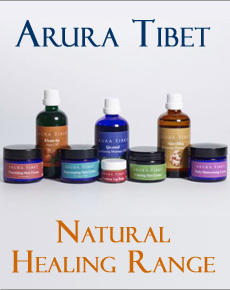 Arura Tibetan Medicine & Wisdom Books is committed to protecting your privacy. Only limited personal information is collected about you, and that is only used to enable shopping and make return visits to the site much easier. When you confirm an order we obviously need to take your name, e-mail address, home address, and your credit or debit card details. This information is vital so that we are able to actually process your order, and so that we can deliver your goods. Your payment details are not stored anywhere on the web site, nor in the database that runs the site, hence the reason that you will always be asked to input your card details every time you place an order. It might seem like an inconvenience, but we believe this is the safest approach. We do store some personal information about you but this is in a secure database, and is entered via a secure order form - we are registered with Thawte who are widely recognised in the on-line commerce arena. To get their seal of approval we have had to fulfil some strict security criteria. All personal and card information is entered via our secure server, who's software (Secure Socket Layers (SSL)) encrypts all data you enter before it is transmitted to us. We will not sell on any information gained via our site to any third party or organisation. We may very occasionally make use of it ourselves to let you know about any goods or services that we think you may be interestd in. These will be things that are pertinent to the subjects that we deal with.